As I've gotten older, one of the phrases that I have come to dread is when I hear that a friend or relative is now on hospice care. What I learned over the past few years is that this means they are probably only going to live a few more months because of a serious health issue such as inoperable cancer or failing organs. However, I never wanted to ask the patients I knew who were on hospice any detailed questions about their care, so I was never quite sure what it entailed. 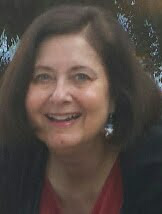 As a result, I was pleased to read an article about it in the "Answers" book provided by the local Council on Aging. Since this is something that many Baby Boomers will encounter at some point in their lives, either for themselves, their aging parents or a spouse, I thought many of you might want to know more about this service, too. The reason for hospice care is simple. It is there to prevent and relieve the suffering of a dying person, while providing them with a better quality of life during their final months of life. Hospice care involves a team of medical personnel who are there to provide emotional, social and spiritual support for both the patient and their loved ones. Typically, the team will include a hospice doctor, a nurse, a social worker, a hospice aide and other staff members such as chaplains or volunteers. The patient's personal doctor may also work with them to provide continuity of care. When Does the Care Start? Usually people are referred to hospice when they are only expected to live six months or less. However, length of time can be extended if the person survives longer than expected. In fact, it can go on as long as the patient continues to meet the criteria. Where Does the Care Take Place? 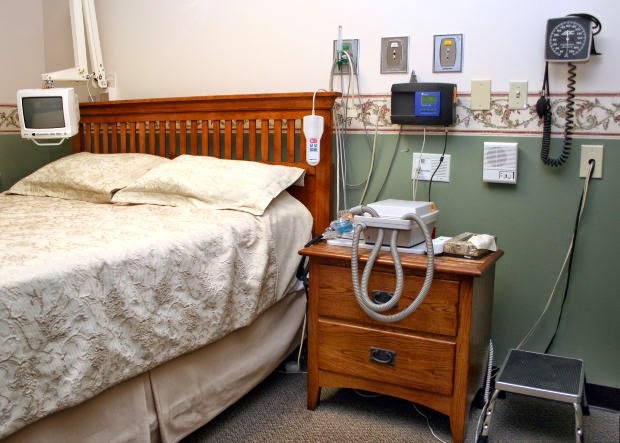 Usually the care takes place in the patient's home, even if their home is an assisted living facility, a nursing home or some other type of long-term care facility. Of course, it can also take place in a private home where the patient is being cared for by family or home healthcare assistants. What Types of Care are Provided? There are different levels of care, depending on the patient's needs, and the type of care the patient receives can change as time goes by. The care may include prescription drugs and over-the-counter medications to ease suffering, as well as medical equipment and supplies to treat their medical condition and make them more comfortable. Hospice care is covered under Medicare, MediCal and most private insurance companies. For people on Medicare and MediCal, there is no cost to the patient or family. Coverage varies for people with private insurance, so you need to contact your insurance company for details. Many people with a terminal disease prefer to spend their last weeks or months of life at home, rather than in a hospital. Hospice care makes this possible for the majority of patients. They will provide whatever level of care is necessary to prevent the patient from needing to be hospitalized. If a problem arises, the patient can call their hospice provider, rather than 911. In some situations, a patient may change their mind about receiving hospice care and may decide they want to try to fight their medical condition longer. This is particularly true if a new type of treatment becomes available. If so, the patient can revoke their hospice placement and return to acute care services. How Do You Find a Provider? Most communities have a variety of hospice care providers. If you or a loved one has reached this stage of life, your doctor, hospital, insurance company, or case worker can give you a list of local companies that provide this service. You may also want to talk to the families of people who have used the services of the various providers. Before you select a company, be sure to do a little research on them and get your questions answered. Find out if there are costs that may not be covered by insurance or Medicare, how many people will be on your team, how often they will visit, the services that will be provided, whether or not a doctor will visit and if there is a 24-hour care program, should that become necessary. In most cases you have a choice of providers so you want to be sure to select a hospice company that will provide the patient with the best quality of life possible. If you are interested in learning more about medical issues or other concerns that could affect you in retirement, use the tabs at the top of this page to find links to hundreds of additional informative articles.